The convergence of two significant and revolutionary technological developments in the petrochemical industry - crude oil-to-chemicals (COTC) and oxidative coupling of methane (OCM) - are poised to have a very significant impact on the chemical industry, according to new analysis from IHS Markit, a leading global source of critical information and insight. This analysis from Don Bari, vice president of chemical technology at IHS Markit, follows on an announcement made by Siluria Technologies, which has joined forces with Saudi Aramco Technologies: Siluria Technologies and Saudi Aramco Technologies Company join forces to maximize chemical production. In the past decade or so, disruptive technology development and deployment have been dominant on a global basis in the petrochemical industry and largely driven by the extreme pricing dynamics of the energy industry, translating directly to fundamental petrochemical feedstocks; where such new technology has enabled deployers of capital and technology to use low-cost and locally abundant feedstocks. One of the most significantly disruptive technologies or categories of technologies being developed, based on their sheer volume, is crude oil-to-chemicals. These projects, in effect, merge a refinery and petrochemical plant into one, and thus, go well beyond the state-of-the-art refinery petrochemical integration by the implementation of new/reconfiguring unit operations into a refinery. The objective is to shift the product slate derived from a barrel of oil to a range of 40 per cent to 80 per cent chemical feedstocks and non-fuel products, up from the traditional range of 15 per cent to 25 per cent, in order to significantly increase the value of crude oil reserves. "Maximizing the output of high-value chemicals products from our future crude-oil processing projects is one of the key objectives in our downstream technology strategy," said Ahmad Al Khowaiter, chief technology officer of Saudi Aramco. 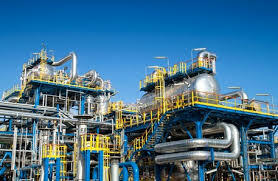 The Siluria Technologies process, which produces olefins directly from natural gas through oxidative coupling (chemistry) of methane (OCM), is expected to further allow Saudi Aramco’s future COTC facilities to create more value by converting the very low-value off-gases (largely methane) into higher-value olefins products, which improves carbon efficiency and increases the volume of the barrel of oil directed to valuable fundamental petrochemicals, he added. Read the following Term and Conditions carefully before using this site. Copyright 2005-2006 theenergyinfo.com. All Rights Reserved. The contents of the Service and theenergyinfo.com website are protected by applicable copyright laws. No text, graphics, video, audio, software code, or user interface design or logos may be copied, distributed, modified, uploaded, transmitted, posted, framed or distributed in any way without prior written permission of the Company, except that Subscribers may download, display, or print one copy of the materials contained on the Service for personal, non-commercial, provided that Subscriber keeps intact all copyright, trademark, and other proprietary notices. Modification of the materials or use of the materials for any other purpose is an infringement of the Company's its affiliates' or its third-party information providers' copyrights and other proprietary rights. License: Subject to the terms and conditions of this Agreement, and until termination of the Agreement, theenergyinfo.com grants the user a non-exclusive, non-transferable, limited license to view or print the Content in this Site without alterations, for personal use only. Tenure: All Content on the Site is (and shall continue to be) owned exclusively by theenergyinfo.com and/or its Associates, and is protected under applicable copyrights, patents, trademarks, trade dress, and/or other proprietary rights, and the copying, redistribution, use or publication by you of any such Content or any part of the Site is prohibited. Under no circumstances will you acquire any ownership rights or other interest in any Content by or through your Site Use. Right to Regulate & Law Compliance:Subscriber acknowledges that theenergyinfo.com has the right, but no obligation, to monitor the Site and to disclose any Information necessary to operate the Site, to protect Theenergyinfo.com, Others, and Theenergyinfo.com's customers, and to comply with legal obligations or governmental requests. Theenergyinfo.com reserves the right to refuse to post or to remove any Information on the Site, in whole or in part, for any reason. Law Compliance:You agree to comply with all governmental laws, statutes, ordinances, and regulations (including unfair competition, anti-discrimination or false advertising) regarding your Site Use. theenergyinfo.com is not responsible for lapses in online security and does not assume liability for improper use of your Information by a third party. You shall not share your login and password with any Person including but not limited to business colleagues (in organizations other than yours) and with your friends and family members. theenergyinfo.com reserves the right to change your password at any time. The user shall be notified at the email address given at the time of registration. The Subscribing Organisation shall immediately inform theenergyinfo.com about the Employees who have left/are quitting the organization so that the Login of the individual can be discontinued. Any usage by ex-employee shall be considered as unauthorized access. Fees: The subscription fees is non-refundable and non-adjustable in any circumstances. The subscription is valid only for the Employees of Subscribing Organisation. theenergyinfo.com shall deny the access requests by/for all such persons who are not of the Employees of the Organization Subscribing to theenergyinfo.com services. It is important that a request is sent for the chosen/future subscribers through their official email id assigned by the Subscribing Organisation. If the name of the organization of the person requesting access to restricted areas is different from the name of Organisation subscribing to theenergyinfo.com services, the request shall be Denied. The Subscription is valid only for one organization and NOT the Group companies / Full or Partial subsidiaries / Sister Organizationations of the Organisation Subscribing to theenergyinfo.com's services. Use: Subscriber agrees that use of the Service is at Subscriber's sole risk. While the Company uses reasonable efforts to provide or procure the supply of timely and accurate information through the Service, neither the Company, its affiliates, nor any of their respective employees, agents, third party content providers, or licensors warrants that the Service will be uninterrupted or error-free; nor do they make any warranty as to the results, materials or information that may be obtained from use of the Service or the right of any party to use or permit any use of any such results, materials or information, nor do they make any warranty as to the accuracy, reliability, quality or suitability or content of any information, material, service, or merchandise provided, procured or imparted through the Service. The Service is provided on an "as is" basis without warranties of any kind, either express or implied, including but not limited to warranties relating to quality, fitness for a particular purpose or non-infringement, other than those warranties which are implied by and incapable of exclusion, restriction, or modification under the laws applicable to this agreement. For unpaid usage of theenergyinfo.com website, the Agreement may be terminated by either Party, in its sole and absolute discretion, at any time and for any reason (with or without cause), with or without notice. If the Agreement is terminated, you agree to cease all Site Use and, upon request by theenergyinfo.com, to return all Information in your possession relating to the site, and all copies thereof. For paid / subscribed services of theenergyinfo.com website, the agreement can be terminated either on the expiry of Paid/Subscription period or on 3-month's notice. The Subscription fees is NON-REFUNDABLE under any circumstances. On termination of this Agreement, you agree to cease all Site Use and, upon request by theenergyinfo.com, to return all Information in your possession relating to the Site, and all copies thereof. If this Agreement conflicts with a provision of any other contract between you and Theenergyinfo.com relating to the Site, the provision in such other Agreement shall govern. We will use reasonable endeavours to ensure that the web site does not contain or promulgate any viruses or other malicious code. However it is recommended that subscribers should virus check all materials downloaded from the web site and regularly check for the presence of viruses and other malicious code. We exclude to the fullest extent permitted by applicable laws all liability (other than liability for death or personal injury) in connection with any damage or loss caused by computer viruses or other malicious code originating or contracted from the web site.